This is an unusual case where though I had never seen this particular adaptation before, I am pretty familiar with the source material. 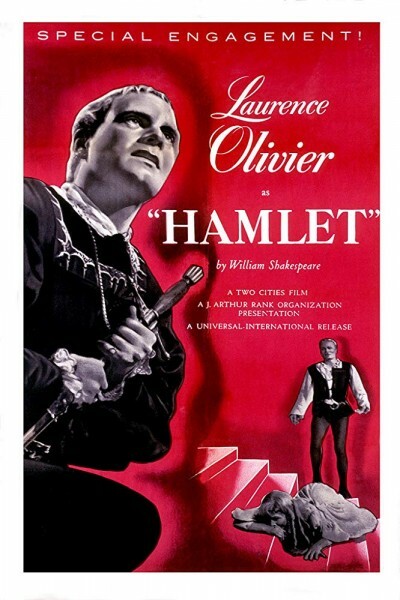 Hamlet, directed by and starring the recently knighted Sir Laurence Olivier, won the Oscar for Best Motion Picture of 1948, the first ever non-American film to do so; Olivier also won Best Actor, and the film picked up two more Oscars for Best Art Direction - Set Decoration, Black and White, and Best Costumes, Black and White. 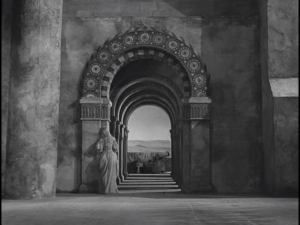 The film was made 384 years after the birth of the main script-writer, a record which is unlikely to be surpassed, unless he does it again, or there is a resurgence in enthusiasm for older literature. 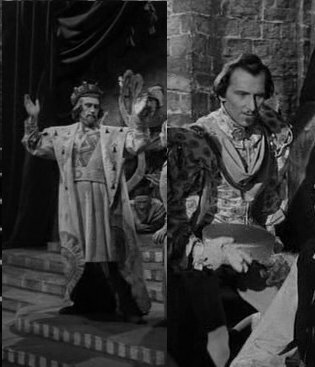 The other contenders for Best Motion Picture of 1948 were Johnny Belinda (which had the most nominations, 12 to Hamlet’s 7), The Red Shoes, The Snake Pit and The Treasure of the Sierra Madre. I have seen none of them. So we have jumped from the social realism of the last few Oscar winners (anti-Semitism, alcoholism and demobilisation) to classic literature. Olivier has stripped the four hours of the original script down to two and a half, by dropping Rosencrantz, Guildenstern, Fortinbras and the Second Gravedigger, and making some judicious cuts in some of the longer speeches. Shakespeare purists have been complaining about this since 1948, but really I think even in Shakespeare's time it would have been treated as a living text, adapted afresh for each new run, and Olivier is perfectly entitled to tell the story he wanted to tell. There are a lot of screen versions of Hamlet (including with Patrick Stewart as Claudius and a Time Lord in the title role - Derek Jacobi in 1980 and David Tennant in 2009, both shown on BBC TV though the latter was an RSC production). Four years ago, we went to see an amateur "Hamlet Unplugged" production in Brussels which had four actors taking turns speaking Hamlet's lines and miming all the other characters. It was electrifying. Interesting to note that rather than featuring any of the the actual performers, the poster for that production used a photograph of none other than Laurence Olivier from this film. 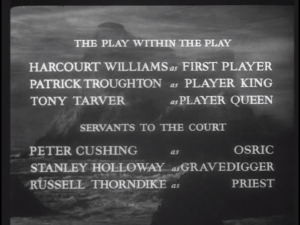 Doctor Who fans will note that this is the only Oscar-winning film featuring two Doctors, Patrick Troughton being silent but very visible as the Player King, and Peter Cushing putting in a rather camp Osric. As usual I'll start with the things I didn't like so much about the film, but this will be pretty short because I did like it a lot, and it's going into my top five, ahead of The Lost Weekend but behind The Best Years of Our Lives. First off, the cast is entirely white. We haven't had a black speaking character in an Oscar-winning film since Dooley Wilson in Casablanca six years ago. Sure, there were fewer black actors around in the UK (the film was released a month before the Windrush arrived), but choosing an all-white cast is still a choice. 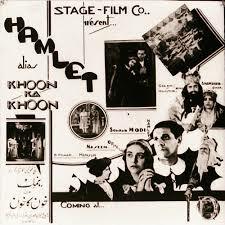 The first sound film version of Hamlet was in Hindi/Urdu translation, released in 1935, over a decade earlier (it has sadly been lost). Second, the one bit that Olivier adds to the script is intensely annoying. Immediately after the opening credits, we get the "So oft it chances..." soliloquy, with the words helpfully flashed up on screen. I won't complain too much. Otherwise, Olivier owns the film completely, tremendously watchable as the Prince. It's not to everyone's taste, but I liked the use of voiceover for some of the soliloquies, exploiting the cinematic medium. I often comment on odd age differences between actors playing parents and children. 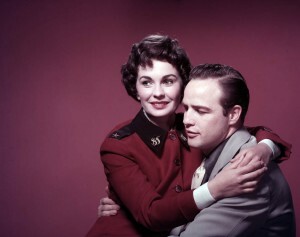 So far the best has been Barbara O'Neil, only three years older than Vivien Leigh despite playing Scarlett's mother in Gone With the Wind. We're in a whole new dimension now, with Eileen Hertie playing Gertrude to Olivier's Hamlet, despite being eleven years younger. 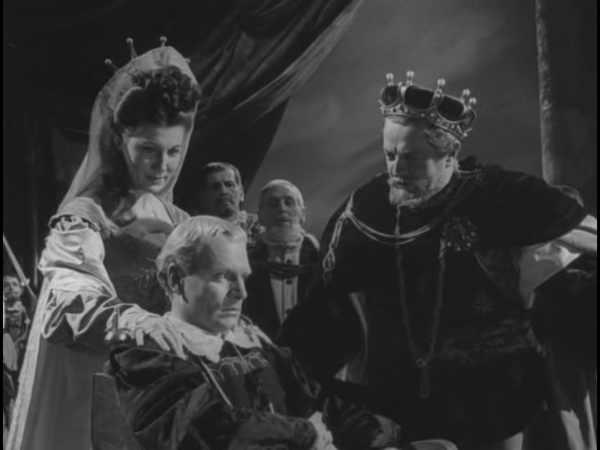 (Basil Sydney as Claudius is thirteen years older than Olivier.) 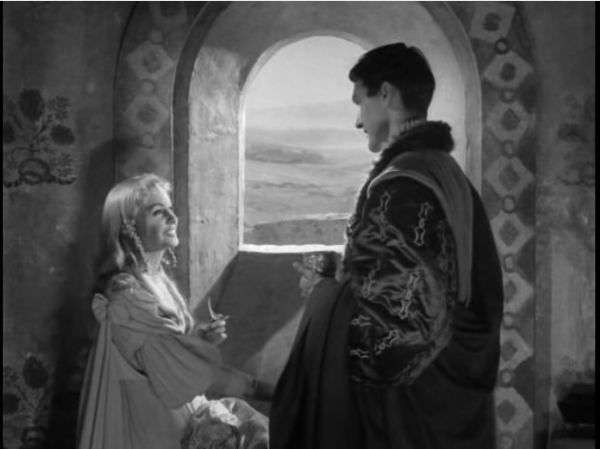 I must say that unlike in Rebecca, where Olivier didn't quite convince me playing a character older then he was, I barely thought about the age gap this time. 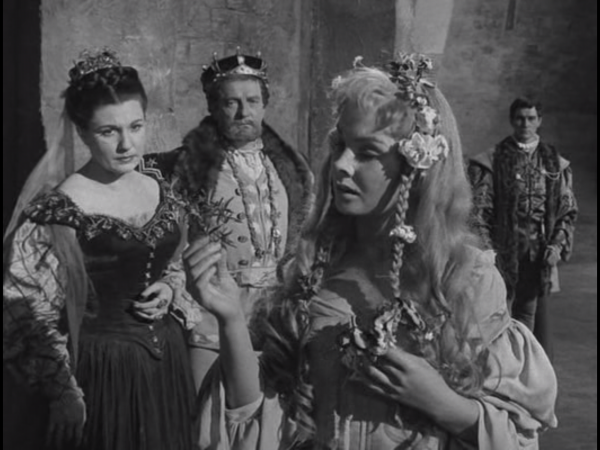 The other lead, paprt from Olivier, who really impressed me was 19-year-old Jean Simmons as Ophelia. Of course she has the only real character arc of anyone in the play, but she carries it off intensely and with conviction. 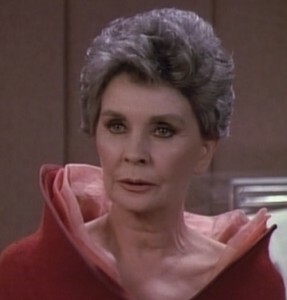 Checking her career, I think the only other thing I've seen her in is Guys and Dolls, where she plays Sister Sarah who falls in love with Marlon Brando's character, though she also appeared as Admiral Satie in an 1991 episode of Star Trek: The Next Generation. It will be apparent from the pictures above that the Oscar for Best Costumes was well deserved. 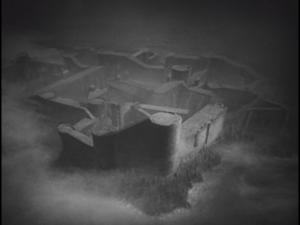 The sets are great as well, and I think the direction is rather magical - nothing terrifically original, but Olivier behind the camera does as good a job of convincing you that you are watching something special as he does in front of the camera as the lead character. Here's a good piece going into that in more detail. I thought it surely must have been filmed on location somewhere, but apparently not; all done in studio. 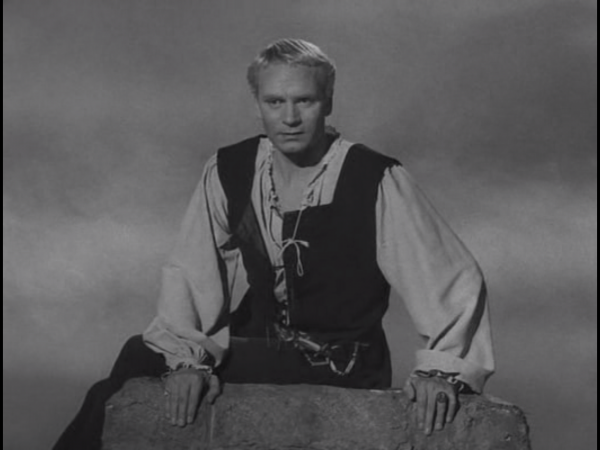 Here's an interesting article comparing nine screen Hamlets. You can get the 1948 one here. Next up in the roll of Oscar winners is All The King's Men, of which I know nothing at all. OPHELIA: Do you doubt that? 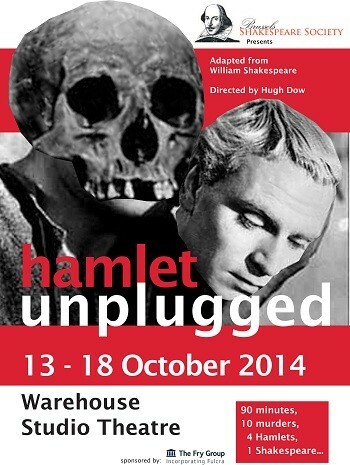 You can get the Oxford Hamlet here. Treasure of the Sierra Madre is well worth catching up with when you have time after this project. 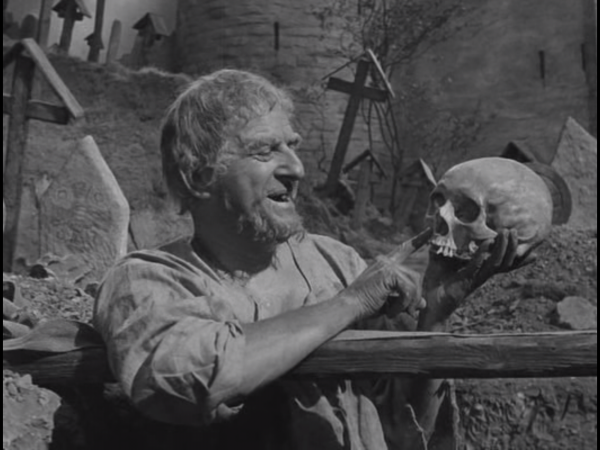 Like Hamlet, it's short on character arcs but goes in hard on the grim inevitability of the plot. There is another change with Constance, but it works. And that is all I will say.